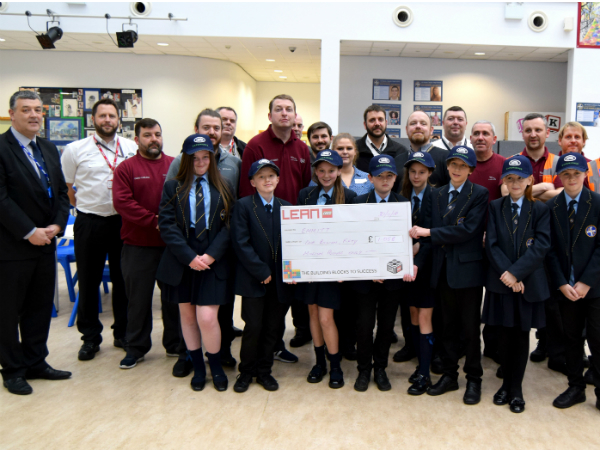 Lean Lego returned to All Saints Catholic School in November, where 153 keen Year Eight students were ready to tackle the challenge and make the most profit. Move over Alan Sugar, you’ve got nothing compared to our savvy kids at All Saints! During the day the students learnt how using different lean tools and delivering good quality vehicles to the customer helps them create profit for their company. Competition was fierce as they all got their game faces on and teamed up to make the most profit but that wasn’t all they learnt, Lean Lego also teaches them team working, problem solving, continuous improvement, communication and managerial skills. Colleagues from Halewood who took part also found the day rewarding.